Classic style meets parallel fortitude. 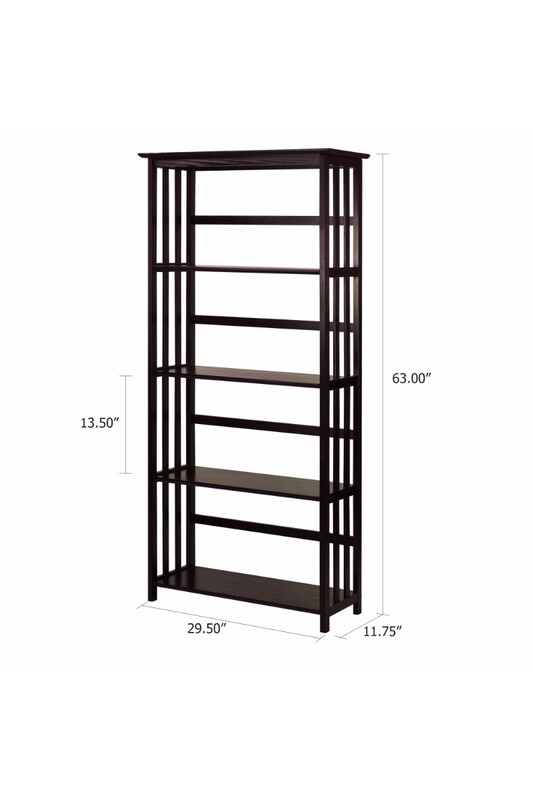 The Mission Style 5-shelf bookcase provides all the storage space you need with grace. The broad shelf design allows for ample room to bring all of your design ideas to life. Classic style meets parallel fortitude. 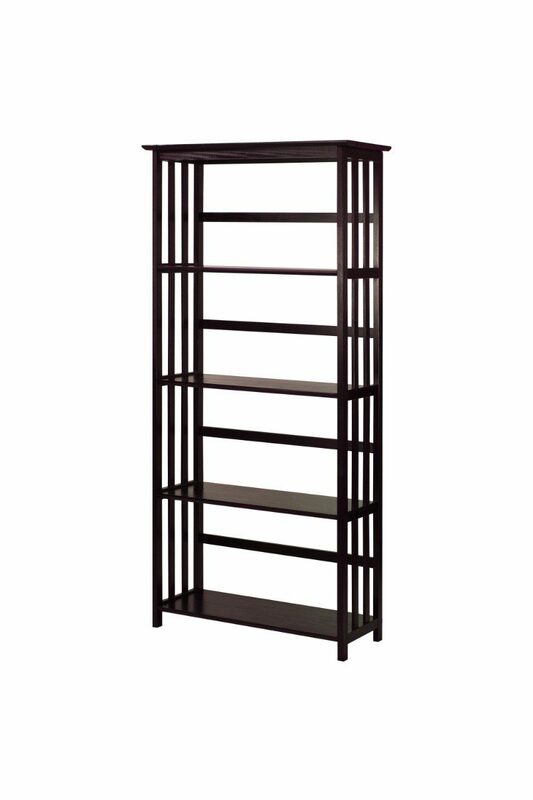 The Mission Style 5-Shelf Bookcase provides all the storage space you need with grace. The broad shelf design allows for ample room to bring all of your design ideas to life. Constructed from solid wood for lasting beauty. 5 shelves to maximize storage and decorative displays. 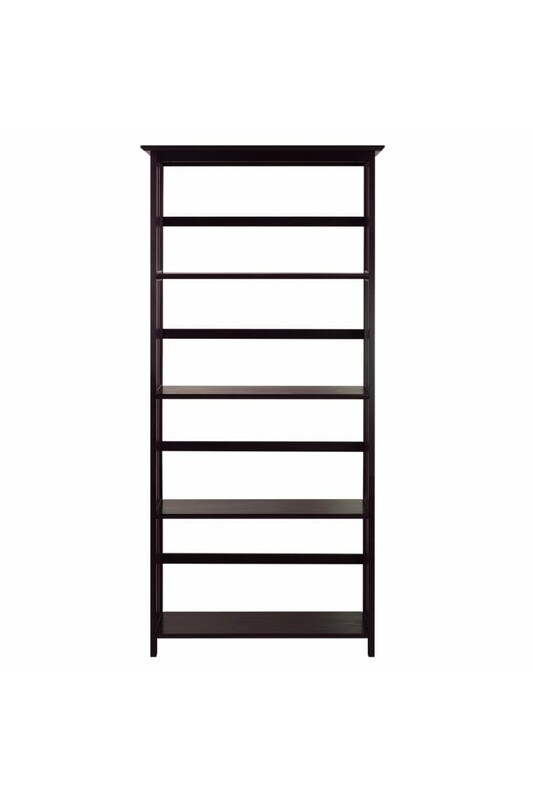 5 shelves with broad storage space (29. 5″). 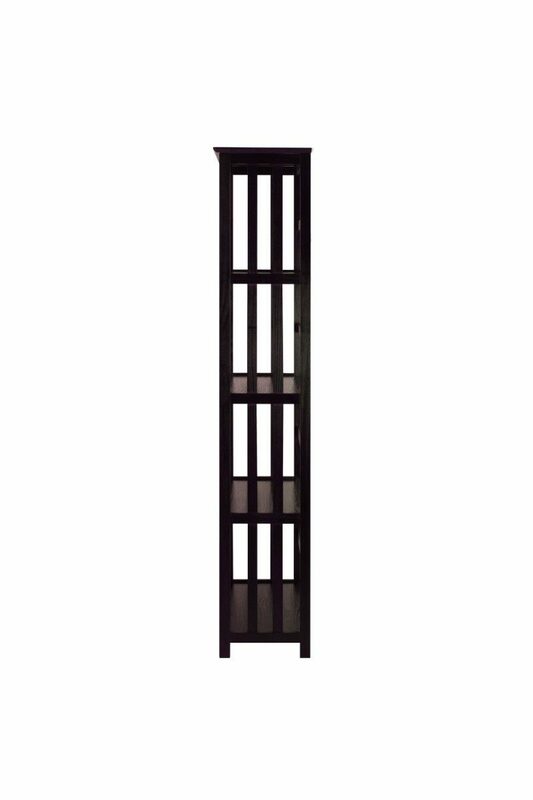 Mission style columns balance to provide a classic aesthetic. Rich walnut finish accentuates your decor. Solid wood construction for increased durability and longevity. 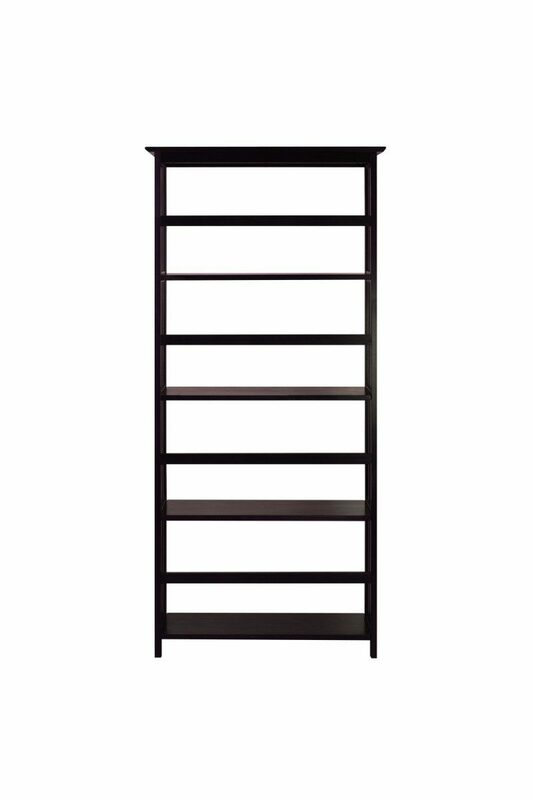 29.5″W x 11.75″D x 63″H, Weight: 32 lb. For more options, you can visit our bookcase gallery by click here.